Pasion De Tres, a house of exceptional, elegant and quality clothing, is one of the best clothing stores in Costa Rica. Quality is at the heart of everything they made. All the designs are the unique. And customer satisfaction is their goal. Pasion has several accessories, necklaces, bracelets and headbands. They use different colored fabrics and many rhinestones. There are belts which can be used with all kinds of clothes. Another accessory they offer to improve your health and beauty is thermal bags, made in the form of mask, rectangular, square neck and cover the entire back. If you’re an athlete, injured by strong workout, this is the accessory for you. The bags are filled with herbs and organic seed: Flax, Lime, Wormwood, Valerian, Peppermint, Rosemary, Sage, Malvarrosa, Cafe. All these herbs and seeds have a lot of healing properties to combat flu symptoms, inflammation, allergies, insomnia, fatigue, fever, shock, menstrual pain and more. They have beautifully designed bathing suit. Which is comfortable yet very stylish. If you are looking for high quality bathing suit, this black bathing suit is perfect for you. There are some beautifully designed skirts. These skirts are different than the skits available in clothing stores. 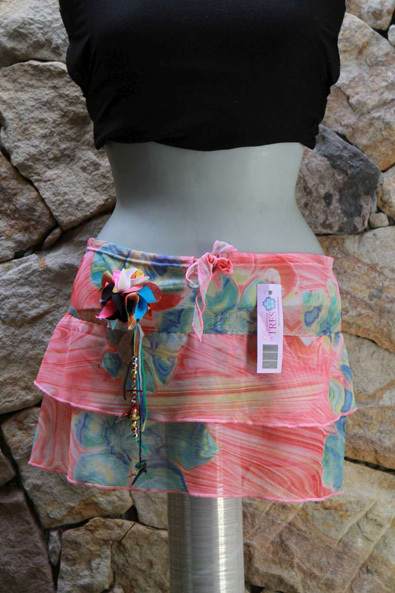 Unlike traditional skirts, these skirts have been made using exceptional designs and patterns. They have designed blouses made of cotton and chiffon. These blouses are made of fabrics which allow better breathability and keep you comfortable throughout the day. The chiffon is a sheer fabric with beautiful designs that stylized body shape. Remember all their designs are unique. So thay give you exclusivity and guarantee that no one has a blouse equal to yours!